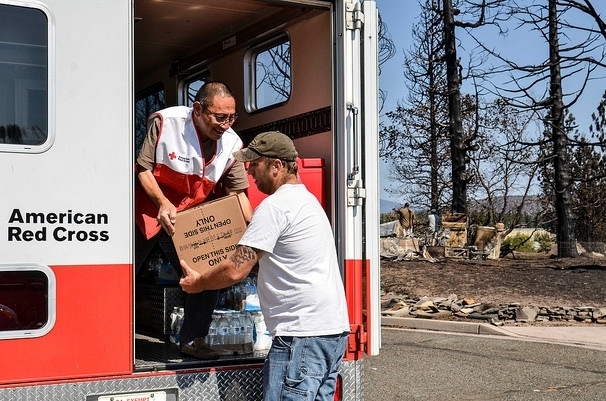 Volunteer Freddy Aw helps deliver relief supplies to residents of Weed, CA following September’s Boles Fire. Tuesday, December 2, has been designated at “Giving Tuesday”. This is a global campaign driving people to give back in some way, shape, or form during the day and bring some balance to other days on the calendar devoted to shopping and giving thanks. And whether you choose to provide financial support, or get hands-on and volunteer to help, there are countless opportunities around the world and in your own backyard to get involved and give back where it’s needed most! 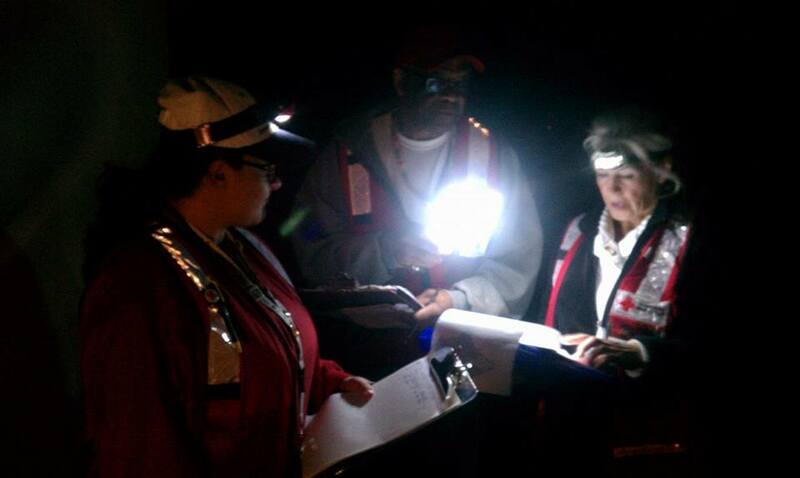 DAT volunteers respond following a January apartment fire in Sacramento. 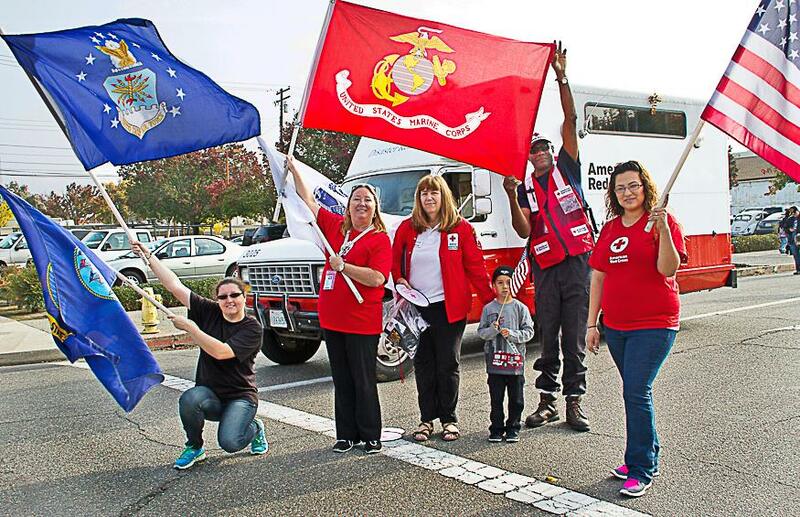 Volunteers honor our military veterans during the annual Veteran’s Day Parade in Modesto. The American Red Cross is one of many organizations dedicated to helping our local communities. We provide services ranging from disaster relief, CPR/First Aid training, support of our Armed Forces, and educating communities about preparedness. 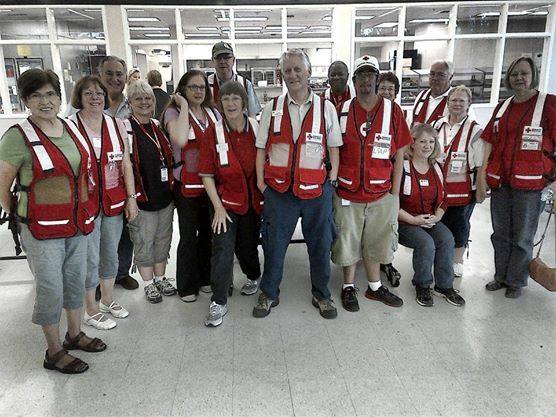 Weekends, holidays, inclement weather…whenever and wherever Red Cross services are needed, they are delivered by dedicated volunteers and supported by the generosity of those who give. When a family loses their home to a fire in the middle of the night, it’s Red Cross volunteers who answer that call, providing food, blankets, clothing, and securing lodging made possible through donations. When a military member needs to get home because of a family emergency, it’s Red Cross volunteers coordinating the effort with the military and the family. Lifesaving training? Most often delivered by volunteers. Evacuation shelters? Staffed 24/7 by volunteers delivering food, blankets, bedding, hygiene items, at safe and secure facilities provided thanks to the generosity of donors. Volunteers at the Sand Fire shelter in Placerville (El Dorado County) during the July wildfire that burned 4,200 acres and destroyed 20 homes. This year in our 24-county region alone we are on pace to respond to nearly 800 local emergencies. That’s an average of one response every 11 hours. Since January, we have opened 51 evacuation facilities due to wildfires. We have trained thousands in CPR, first aid, disaster preparedness, and much more. We have provided care packages, emergency communication, and support to countless active duty and retired military members and their families. And when disaster strikes across the country, our highly trained volunteers stand at the ready to deploy at a moment’s notice. 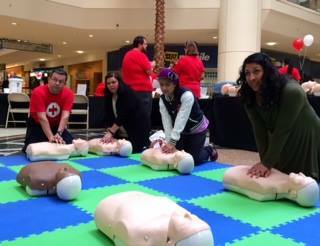 Volunteers provide Hands-Only CPR training at annual Save-A-Life Saturday events throughout the region. It is important work. Absolutely critical work, meeting these ongoing needs. We can’t do it alone. YOU are the difference that makes a difference! So, whether it’s December 2 or any other day of the year, if you’re looking to give back, consider giving THROUGH the Red Cross. And as they say with #GivingTuesday: it’s not how you give, what you give, or where you give, it’s THAT you give! It is a privilege to be part of something that has been around for over 100 years and still providing the same resources since day one. I joined the Red Cross as a volunteer to be change I wish to see in the world. I am so grateful to have this opportunity to get things done.